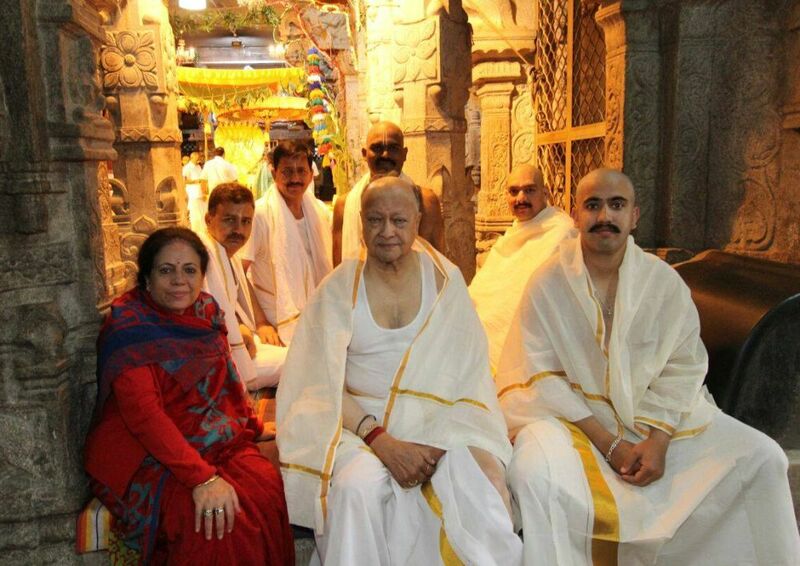 Tirumala: To seek divine blessing, Himachal Pradesh chief minister Virbhadra Singh, along with his family, has paid obeisance in Venkateswara Temple, Tirumala Andhra Pradesh’s Chittoor district. 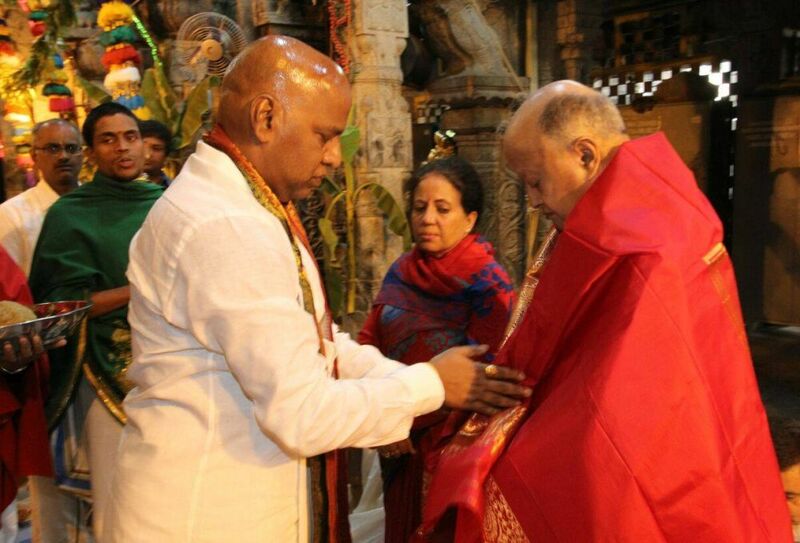 The Chief Minister was accompanied by his wife Pratibha Singh and his son Vikramaditya Singh. The Temple is dedicated to Lord Venkateswara, an incarnation of Lord Vishnu, who is believed to have appeared here to save mankind from trials and troubles of Kali Yuga. There are several legends associated with the manifestation of the Lord in Tirumala, and as per one legend, the temple has a murti (deity) of Lord Venkateswara, which it is believed shall remain here for the entire duration of the present Kali Yuga. Hence the place has also got the name Kaliyuga Vaikuntham and Lord here is referred to as Kaliyuga Prathyaksha Daivam. The temple is also known by other names like Tirumala Temple, Tirupati Temple, Tirupati Balaji Temple.